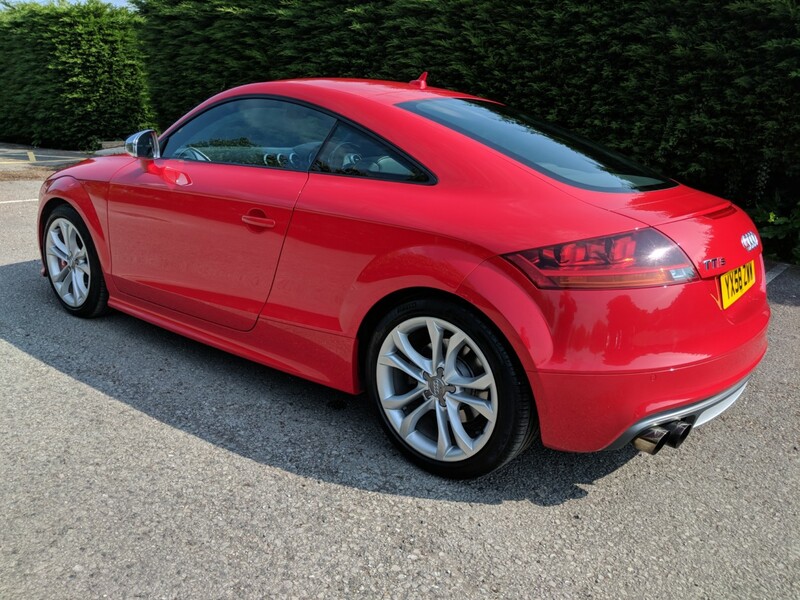 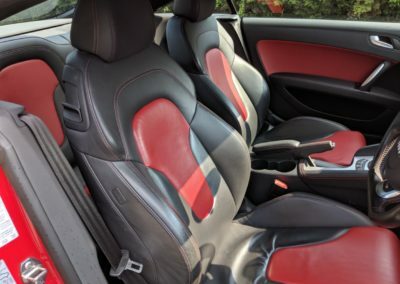 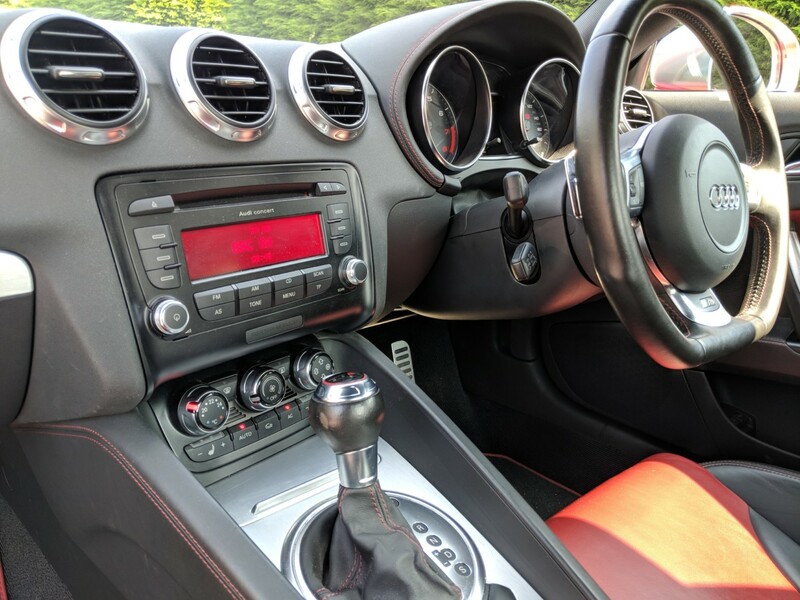 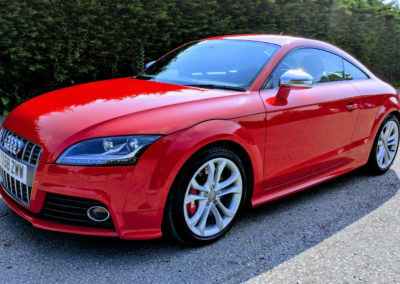 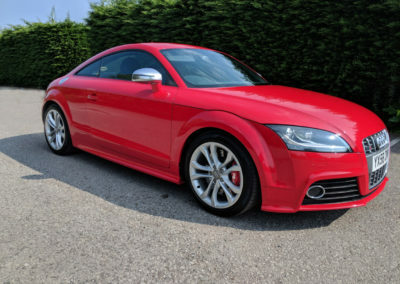 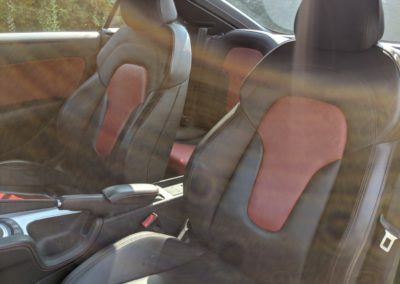 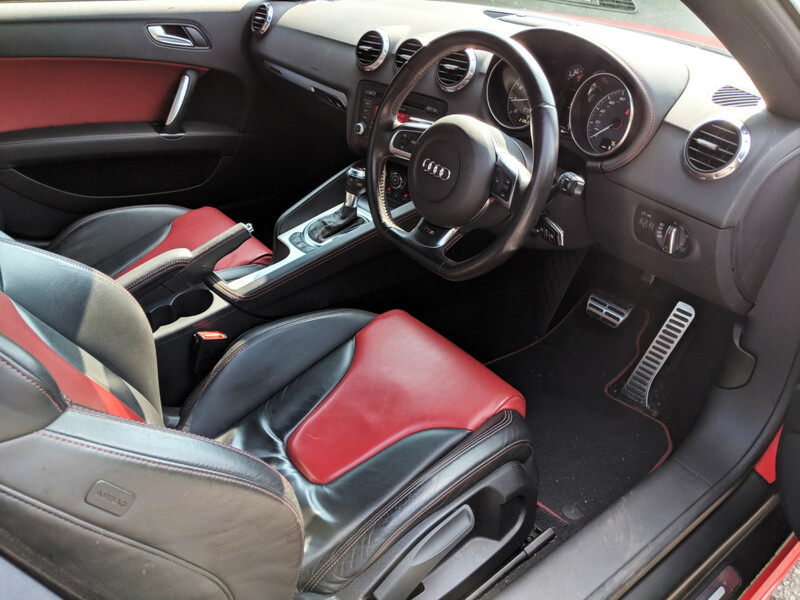 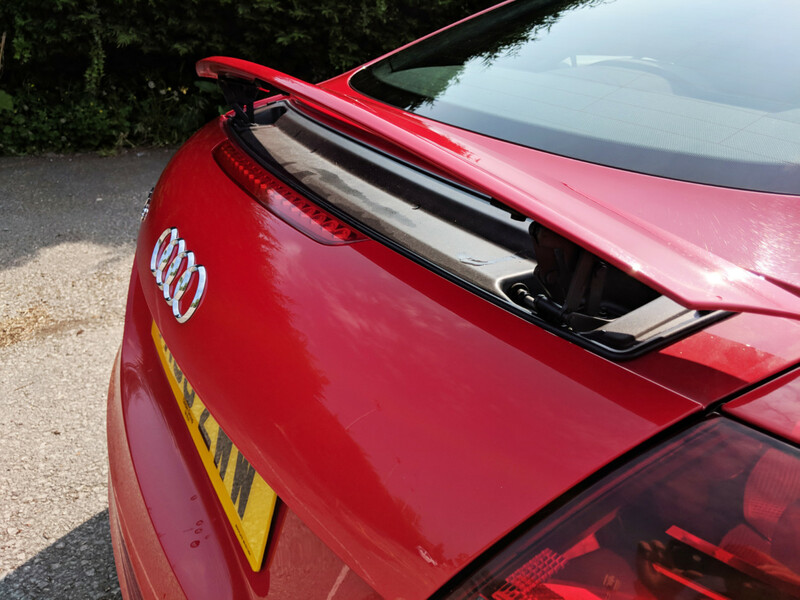 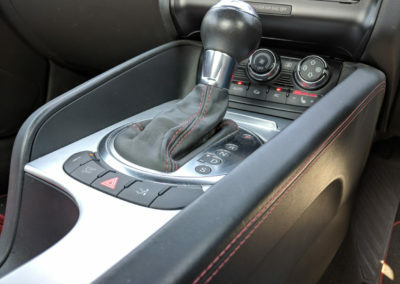 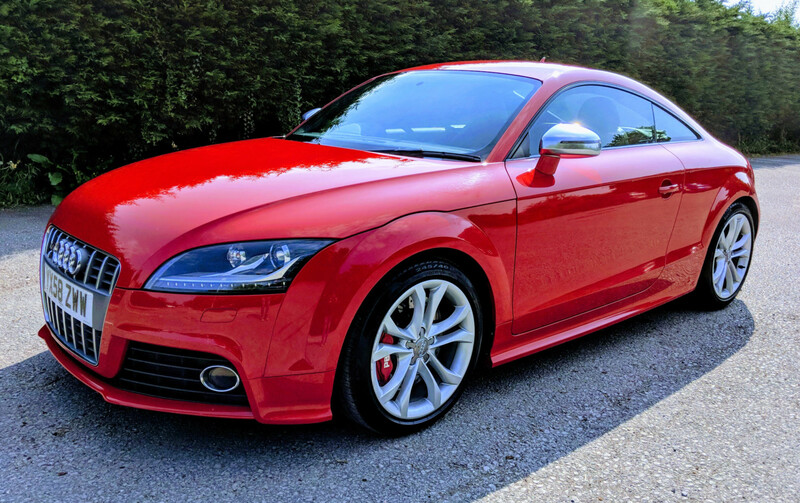 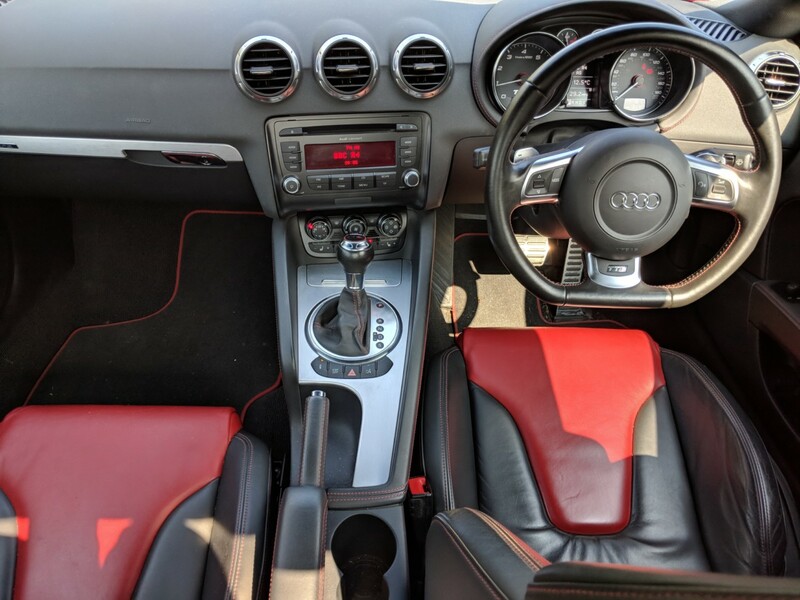 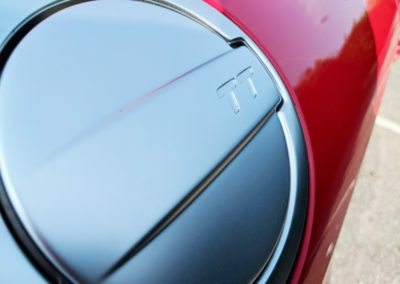 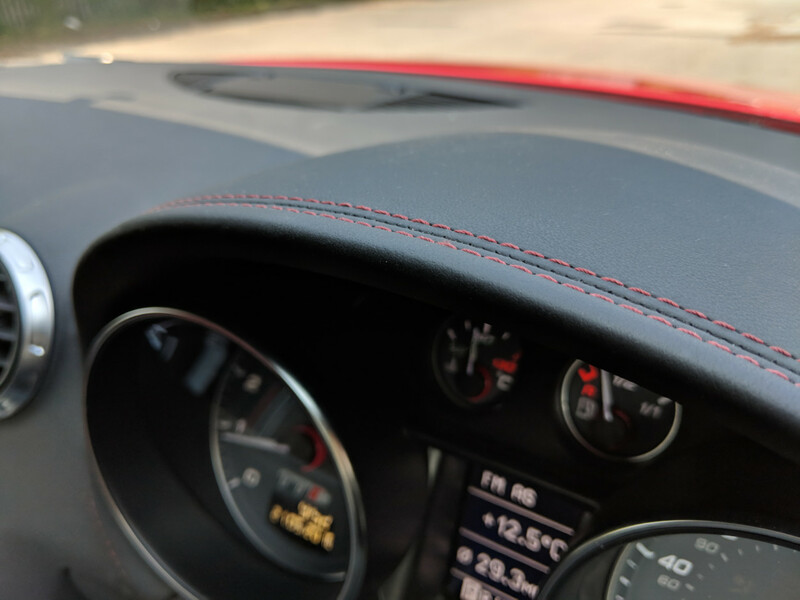 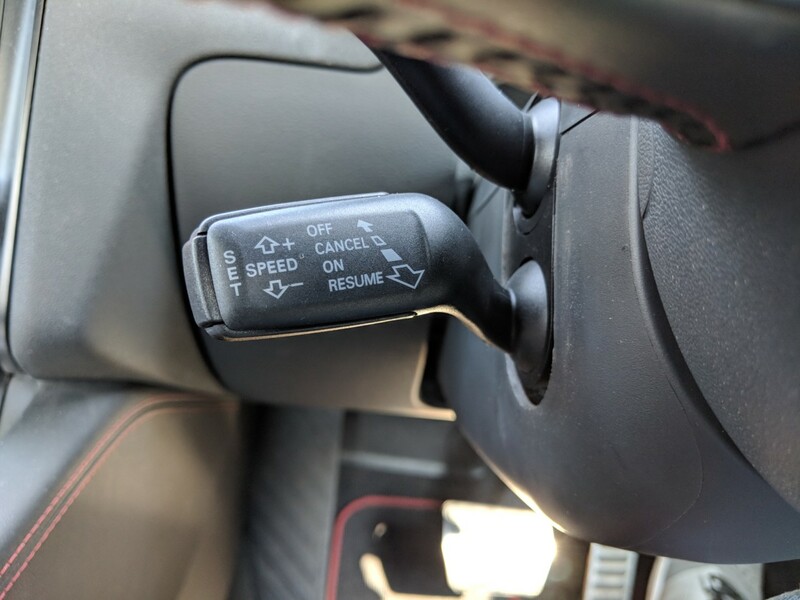 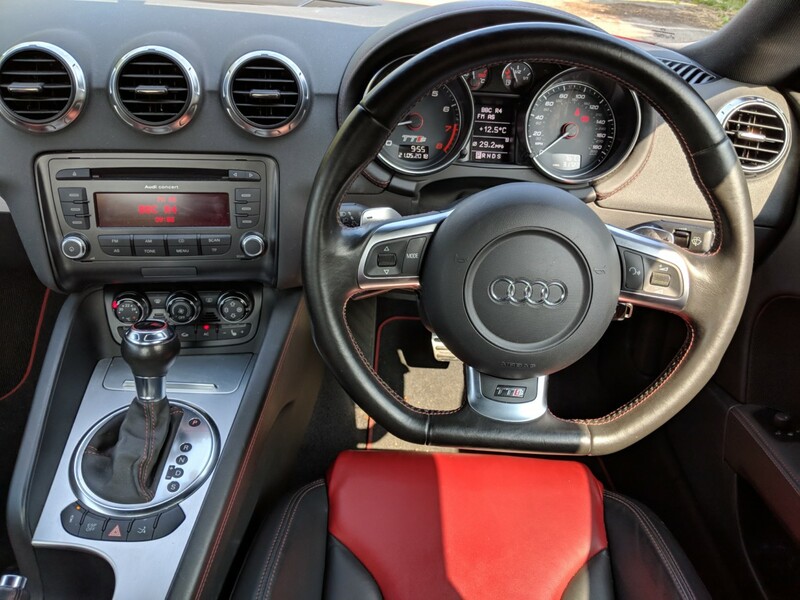 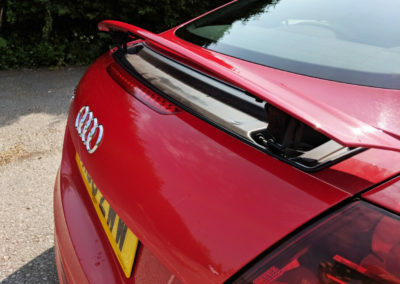 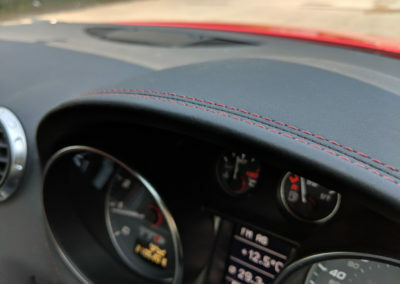 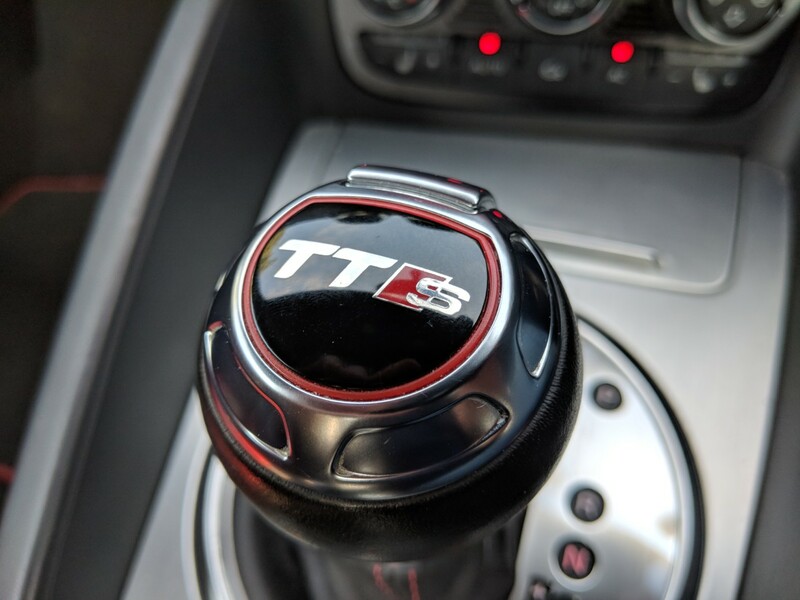 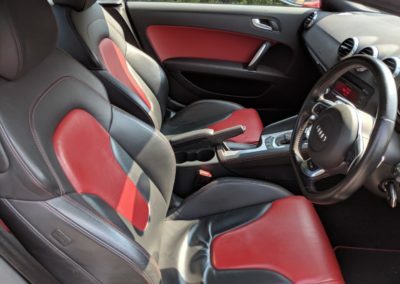 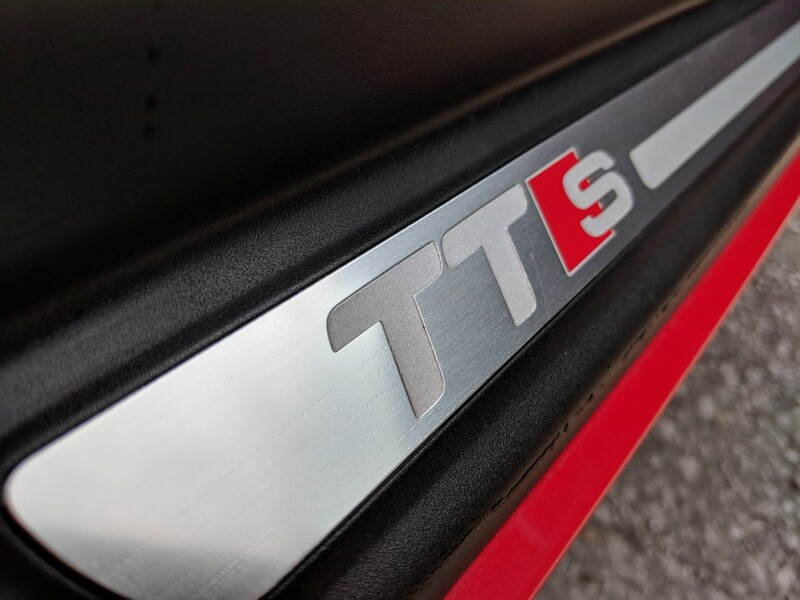 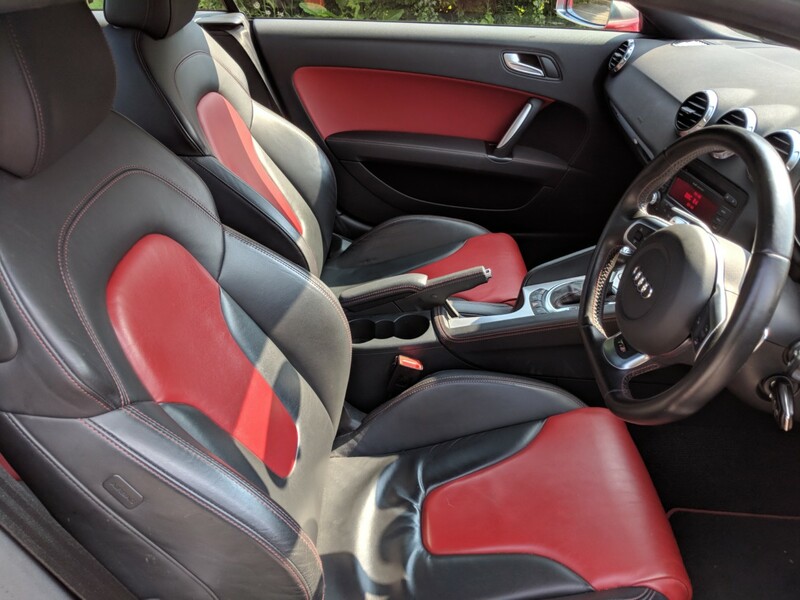 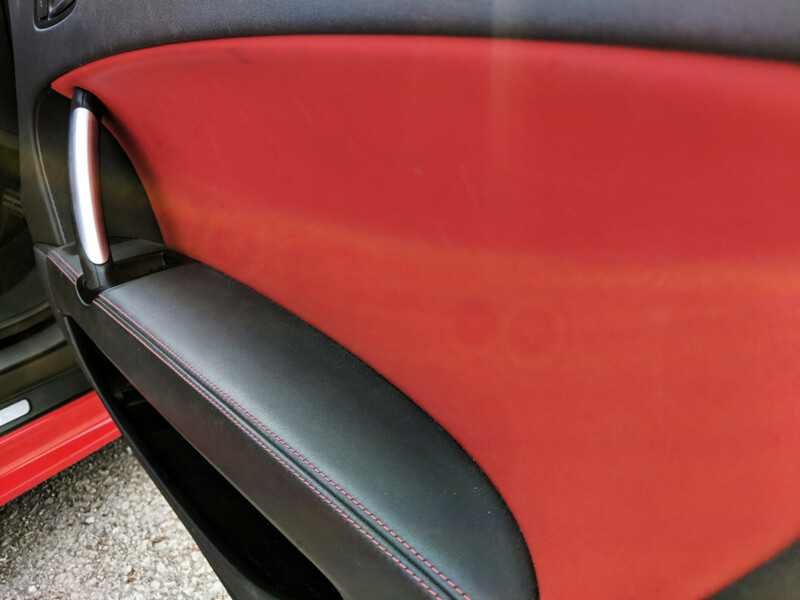 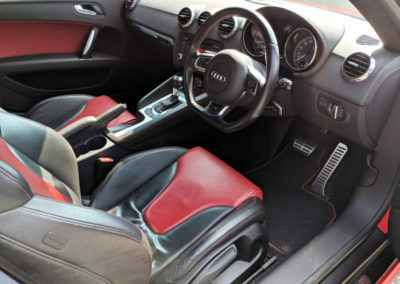 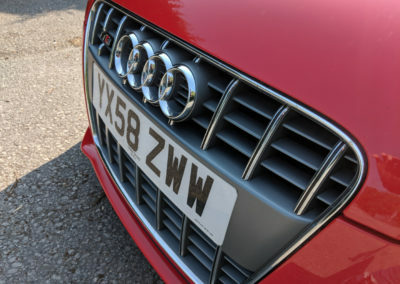 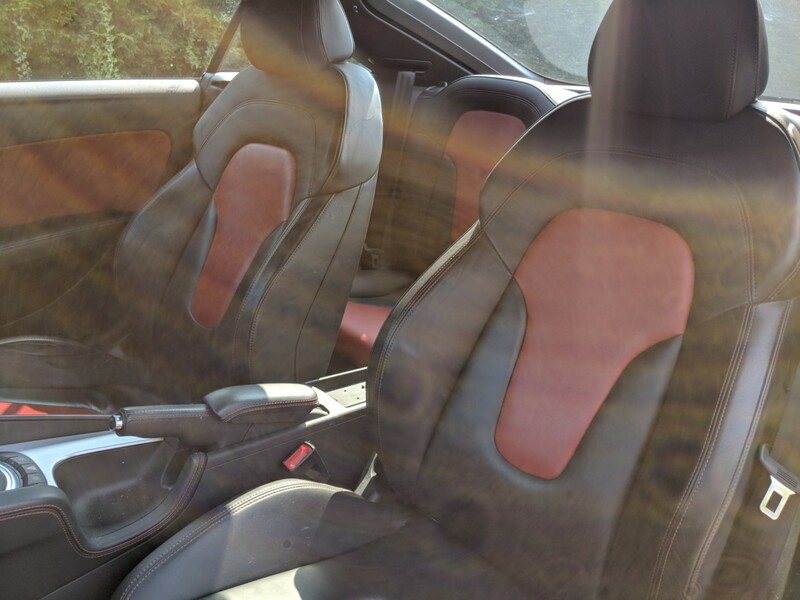 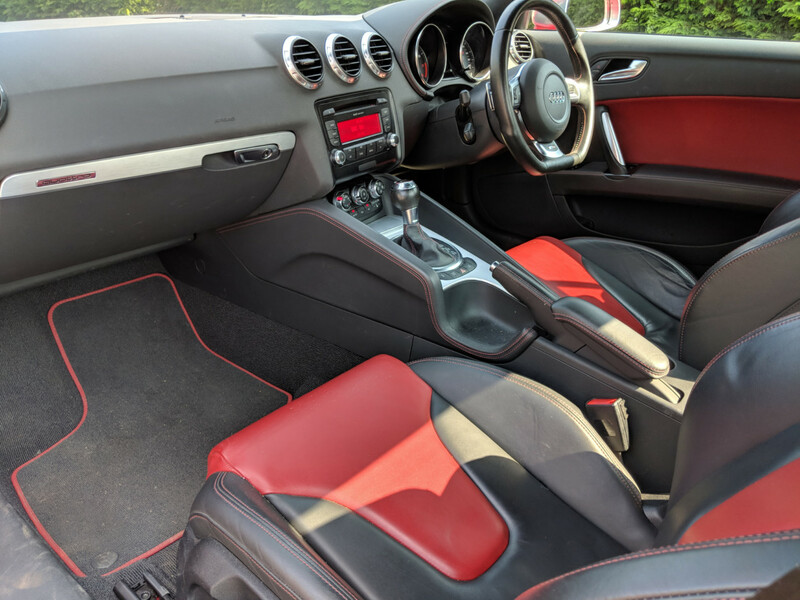 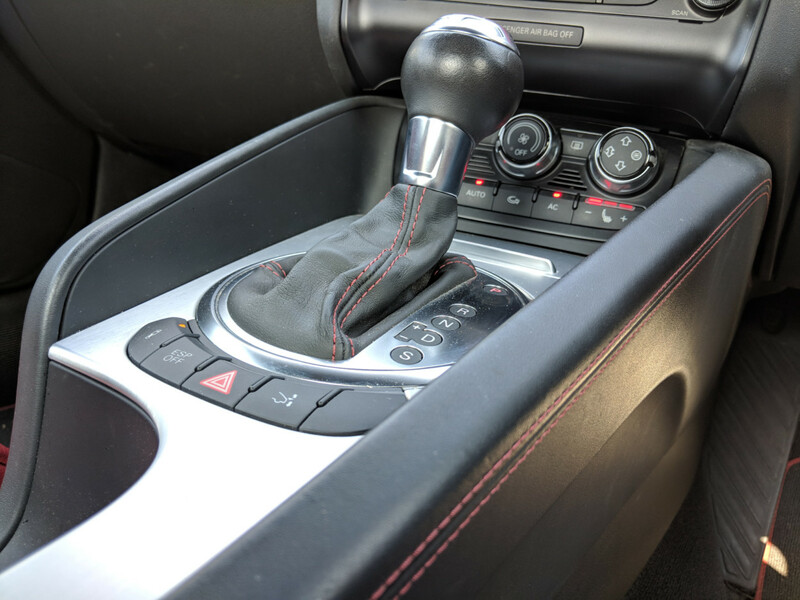 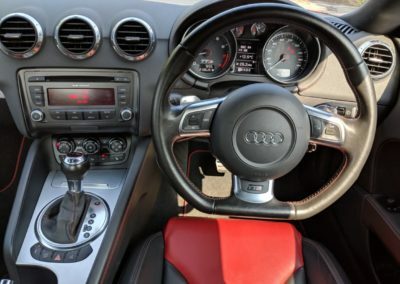 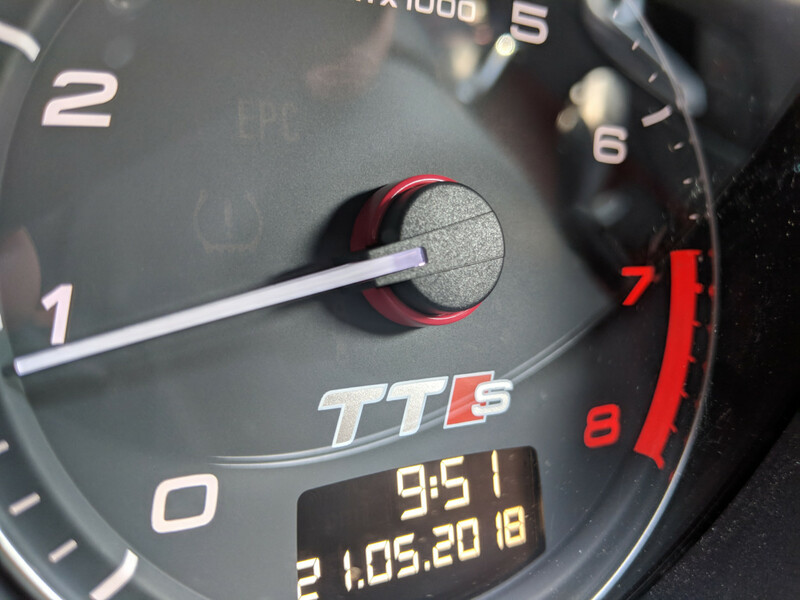 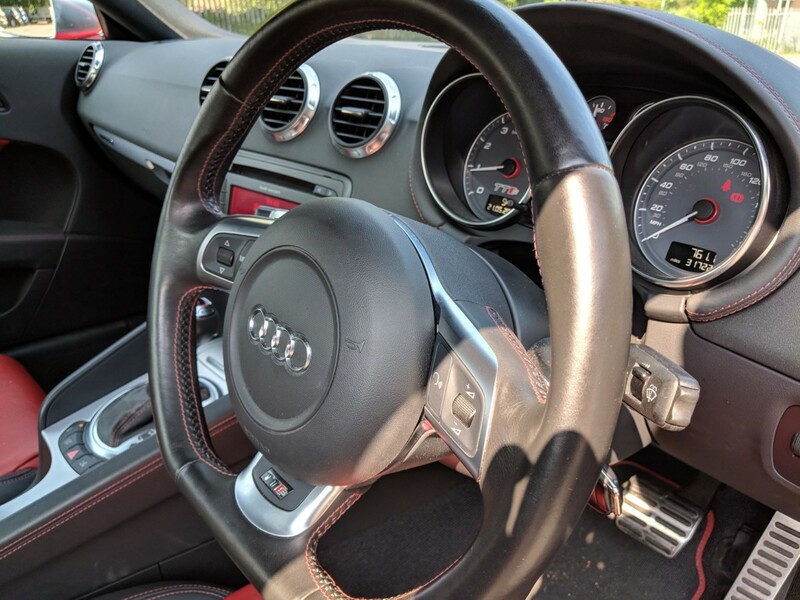 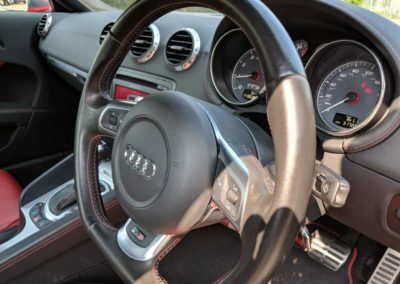 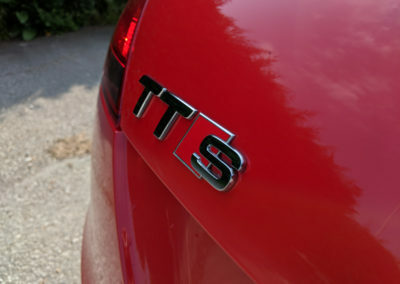 A 2008 58 Audi TTS 2.0 TFSI S Tronic Quattro finished in Brilliant Red with Extended Black / Red Fine Nappa Leather Interior. 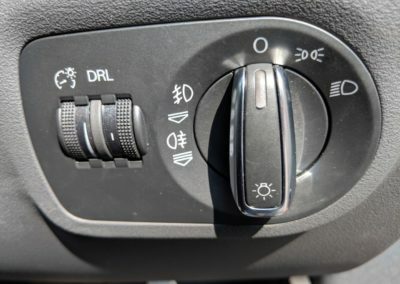 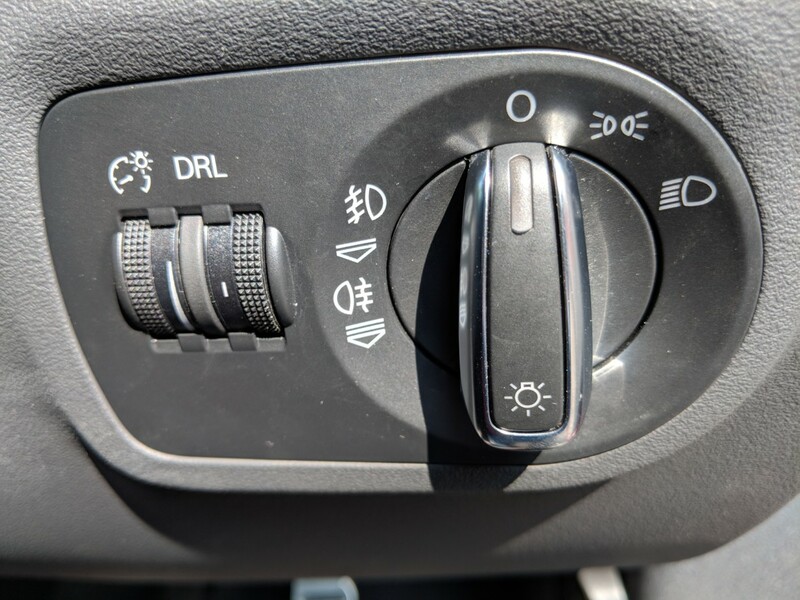 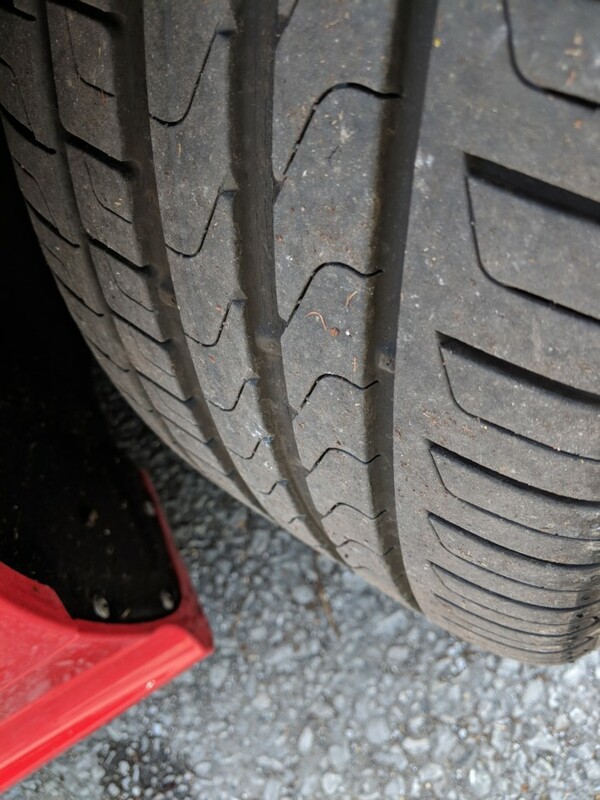 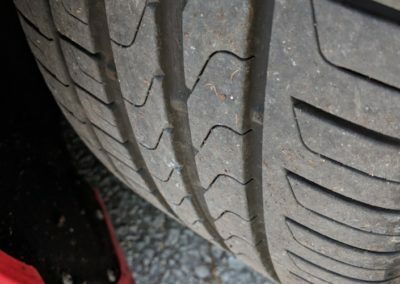 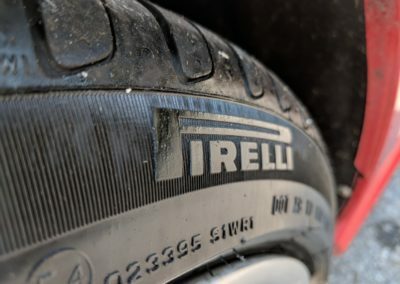 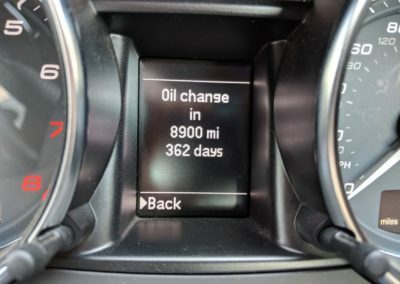 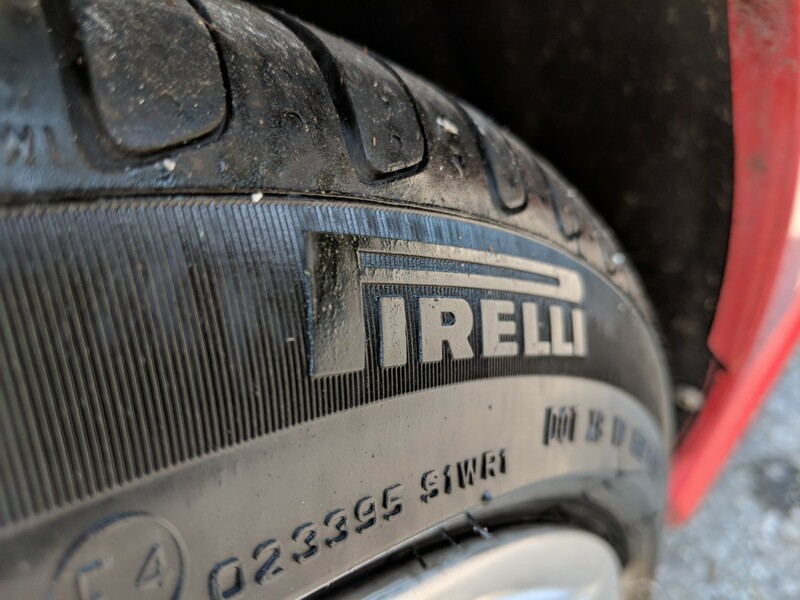 This example has covered just 32,000 genuine miles from new, has a full service history and is in lovely condition as you would expect with such a low mileage. 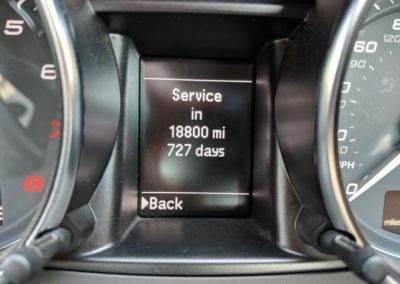 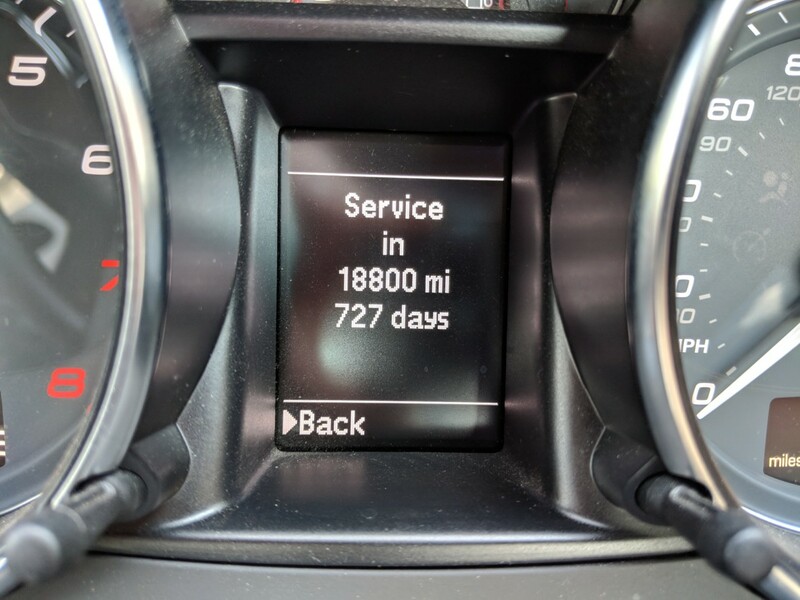 Service book is showing 8 stamps with services at 4133, 7801, 11515, 16440, 22828, 27351, 29839 and 32181 miles. Haldex and DSG services are now due on time and will be completed prior to sale, as will a timing belt, tensioner and water pump change. 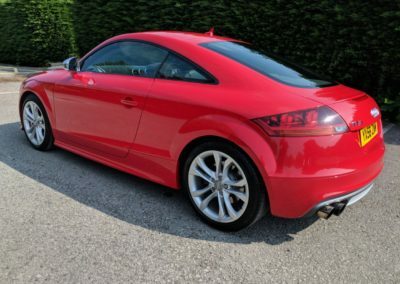 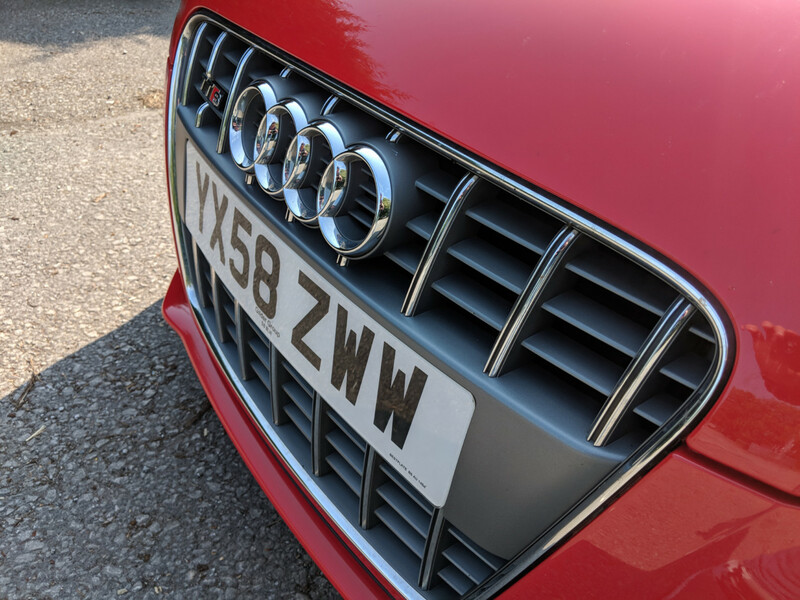 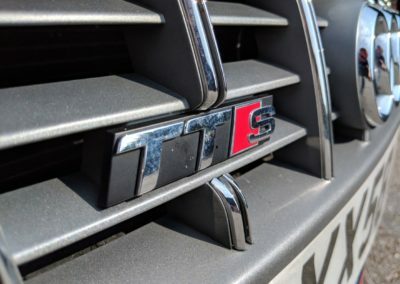 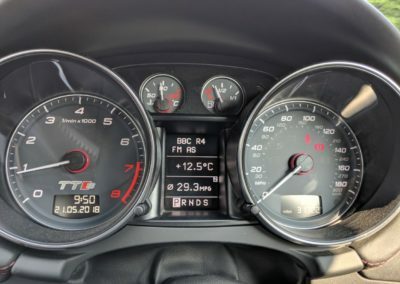 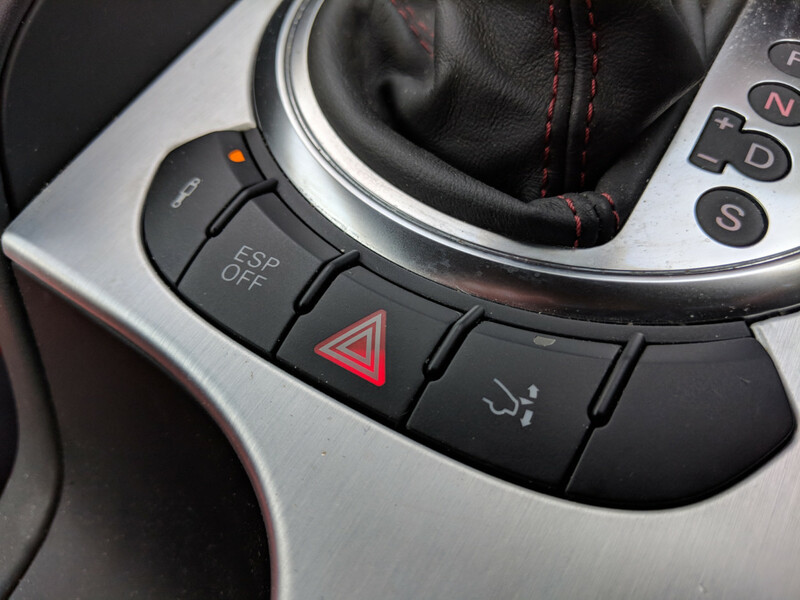 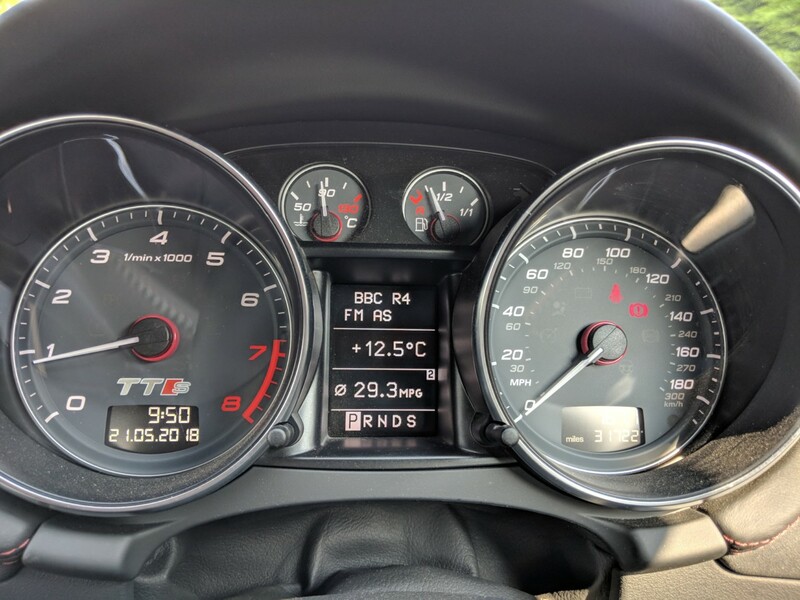 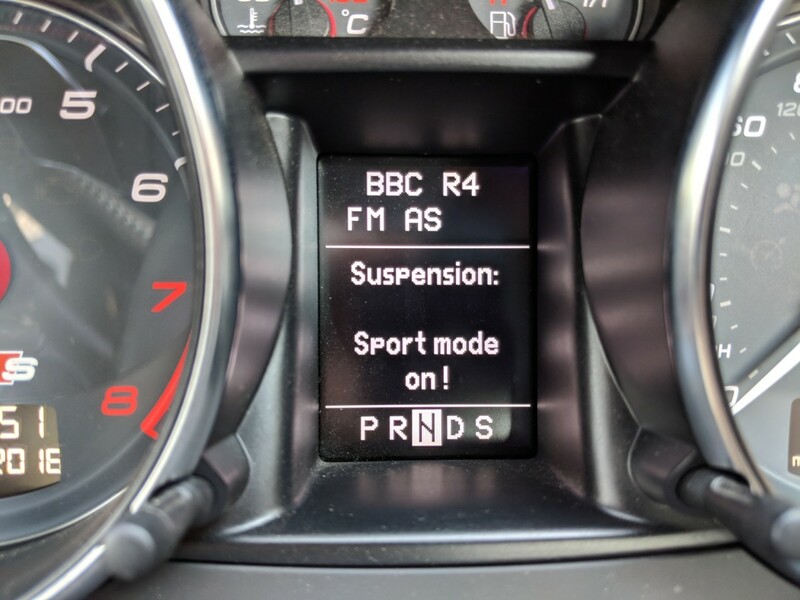 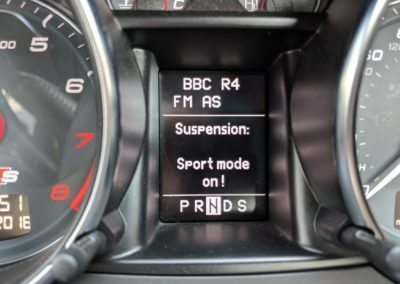 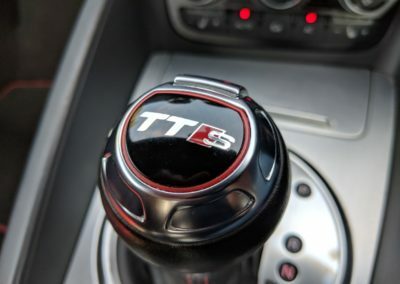 Powered by a 2.0 turbo TFSI engine (revised for the TTS model) producing 268bhp, 350nm of torque and driving all 4 wheels through a 6 speed paddle shift automatic transmission and Quattro drive train. 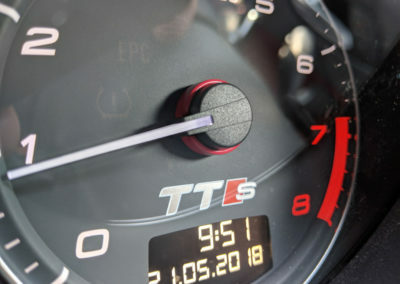 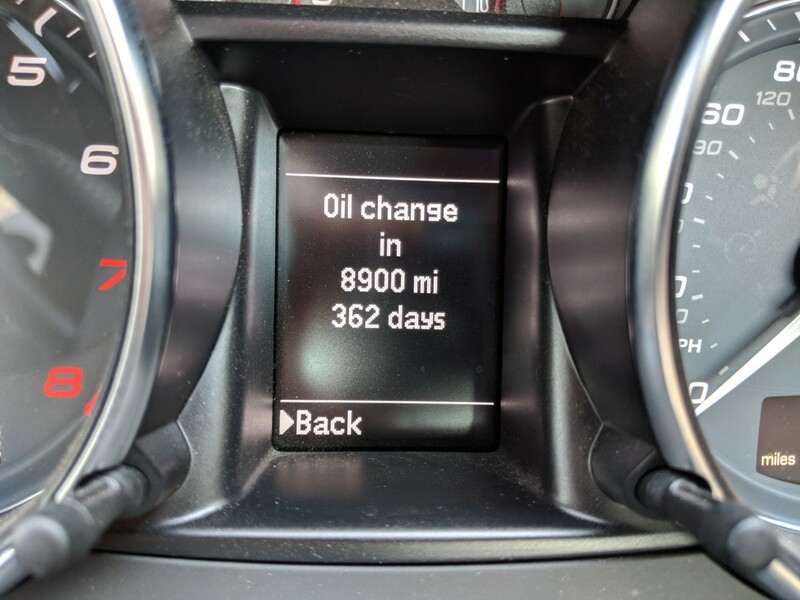 0-62mph comes in just 5.2 seconds for this DSG variant. 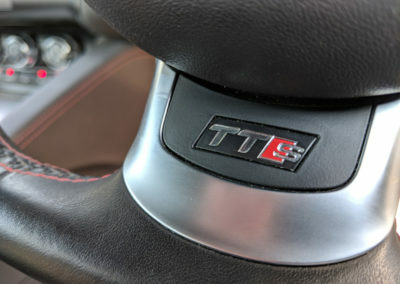 S Tronic (DSG) 6 speed automatic transmission, electronic ‘Magnetic Ride’ adjustable sports suspension, extended leather package, bi-xenon headlights, cruise control, acoustic parking system, Audi Concert audio system, 3 stage heated seats, flat bottom steering wheel with audio controls, daytime running lights, electronic climate control, DIS drivers information system with lap timer, ESP electronic stability program. 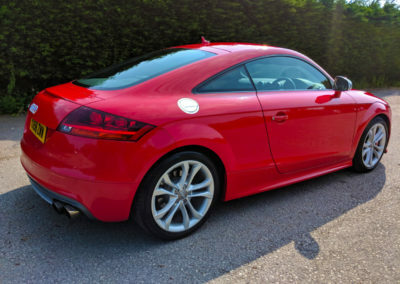 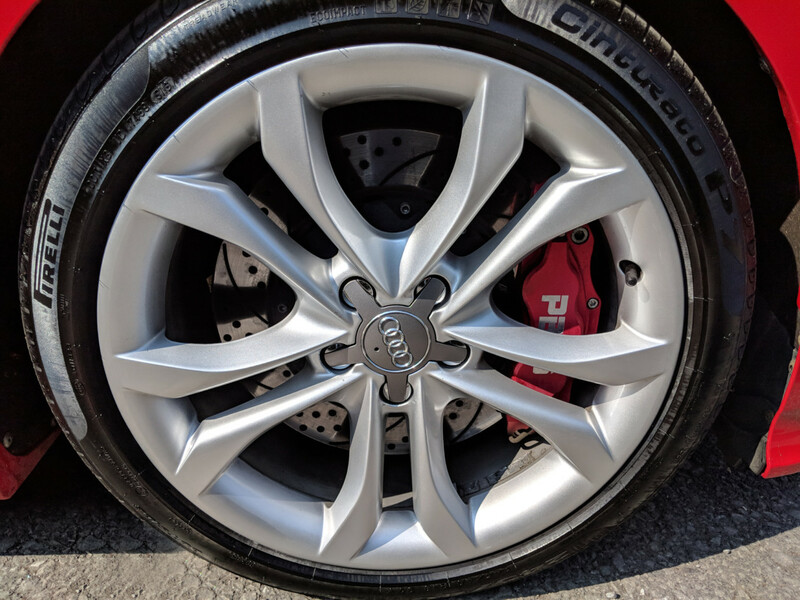 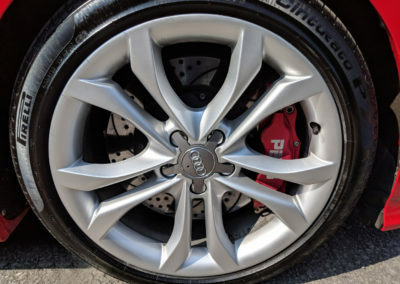 Visually the car benefits from Factory 18” ‘Kinetic’ double spoke alloy wheels, various TTS body styling improvements including redesigned front fascia, redesigned rear diffuser and also an electronic retractable rear wing. 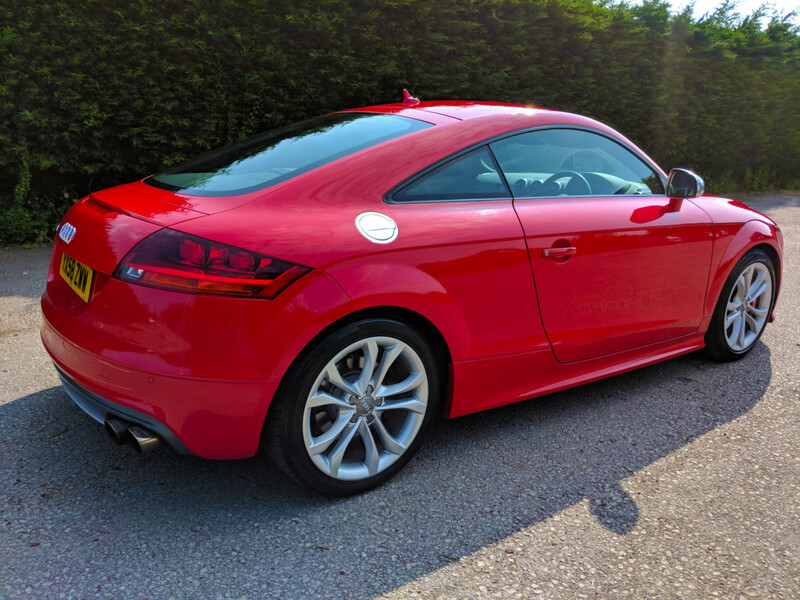 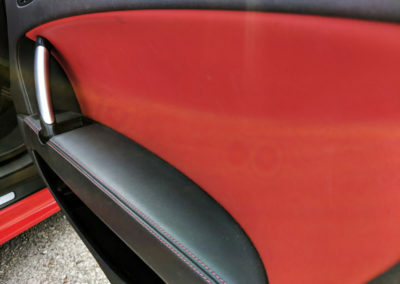 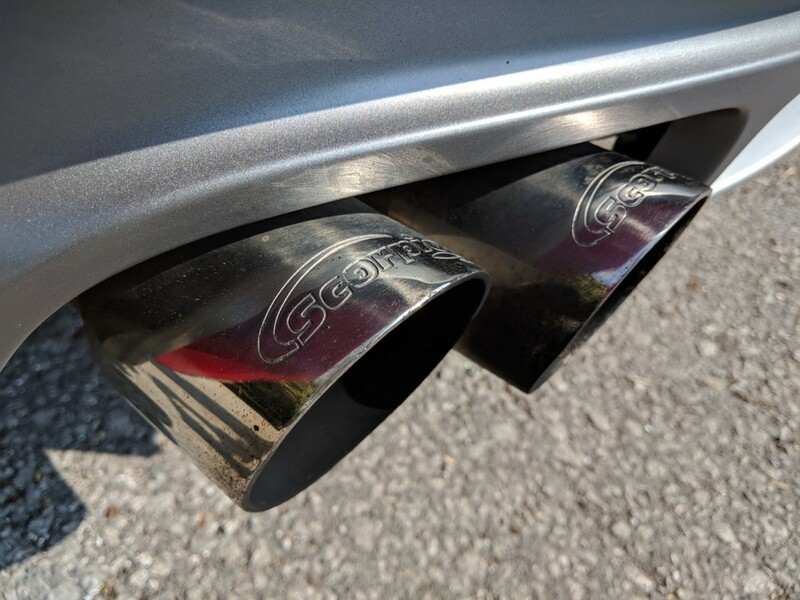 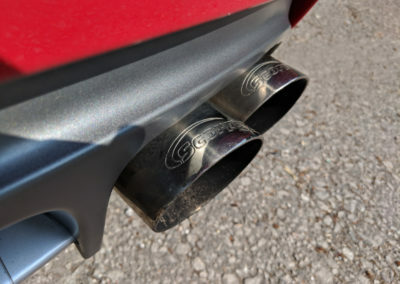 This car has been further enhanced with the addition of a stainless steel Scorpion quad exhaust (£582) and an uprated six pot 356mm PB brake kit (£399). 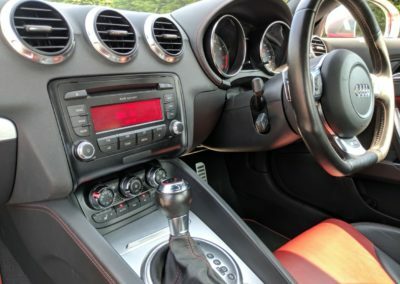 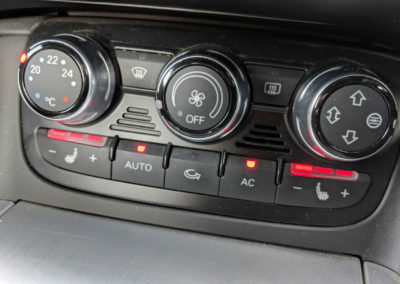 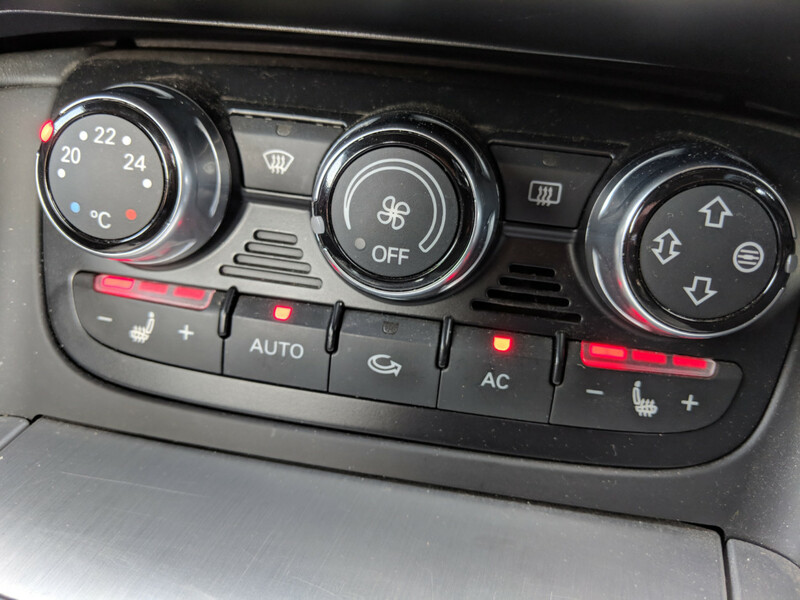 Car is supplied HPI clear, with two remote keys and all paperwork / book packs present.